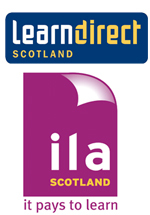 Create Projects recognised locally, nationally and in Europe. Arts Development have an established role developing cultural partnerships with Aberdeen City’s Twin cities as well as further a field. This work plays a vital role in strengthening the cities relationships with its European partners and raising the cultural profile of Aberdeen to a wider audience. During a visit to Regensburg by a group of delegates from Aberdeen Frank Cefali, an American national teaching conversational English at Regensburg VHS came up with the idea to record older people’s most memorable experiences at the end of the Second World War. Arts Development run a 50+programme and decided to develop the project idea in Aberdeen. The memories written by older people in Aberdeen and Regensburg inspired a youth drama group to create a play based on the stories. A play was written by the author who worked with the older people in Aberdeen and then performed by the young people at Aberdeen Arts Centre and at the Regensburg Burgerfest in 2007. 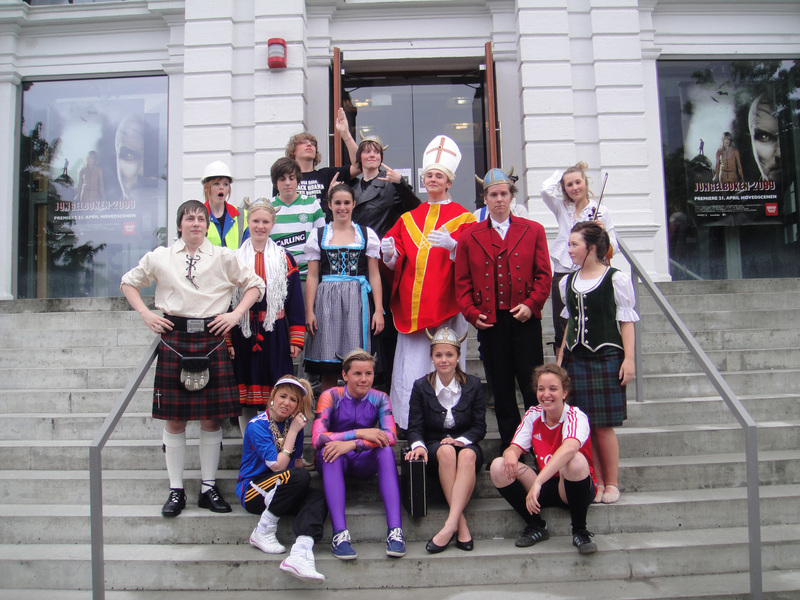 During the visit to Regensburg the young people also visited a school and took part in English and history classes. During the ‘50+ Out and About Festival’ in October 2007 Frank Cefali came to Aberdeen with some of his writing group to launch the book Connections at the Gordon Highlanders Museum in Aberdeen. There was great media interest with the launch being featured on BBC and ITV news programmes on television and radio and in newspapers from the Scotsman to the evening express. 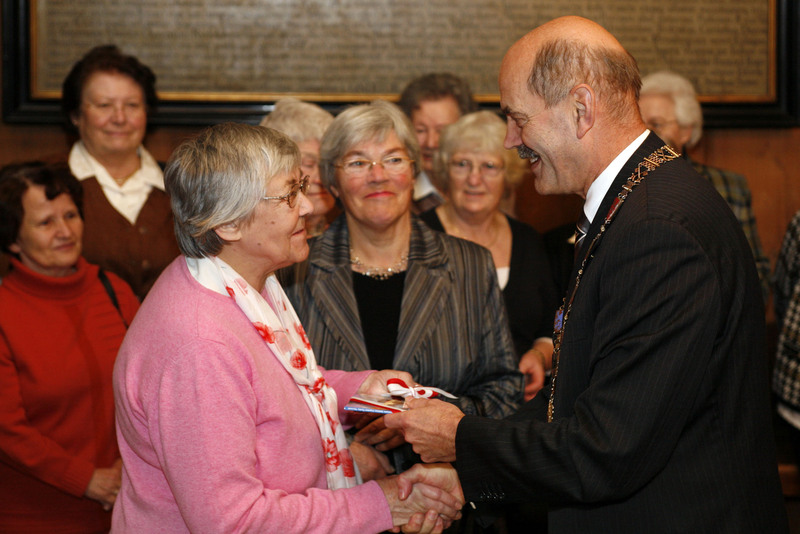 In December 2007 some of the Aberdeen writing group visited Regensburg to launch the book at the VHS. They were met by the ‘Burgermaster’ in Regensburg and visited a local school to talk to young people about their experiences. The project came about during discussions for projects to be included in the Promote Youth Theatre Festival which was being held in Aberdeen in 2008. Arts Development and Aberdeen Performing Arts visited the Rogaland Youth Theatre to discuss with their directors the possibility of joint projects. In 2008 a group of young people from Aberdeen worked with Steven Small, a director from Edinburgh and Gavin Coles, a youth theatre practitioner from Hull developing a piece of theatre for Stavanger in Norway’s outdoor theatre project Fairytales in the Landscape. Fairytale in the Landscape was a £3million pound project being held as part of Stavanger’s European Capital of Culture 2008 programme. The young people in Aberdeen had mainly been taught traditional musical theatre so this project exposed them to new and experimental way of working with theatre professionals. The group of 6 young people spent 2 weeks in Stavanger performing daily in the project, an amazing opportunity which received much media coverage in Stavanger. As part of the legacy of the project the site where the performance took place has now been bought by the city of Stavanger as a public park, which now stages regular theatre experiences. Two participants from 50+ photography classes led by Gudrun Bombosch and 2 HND students from Aberdeen College led by tutor Richard Sewick travelled to photograph the UNESCO World Heritage site of Regensburg. A programme was laid on for the photographers by the Regensburg administration, they visited, Wallhalla, the harbour, the cathederal and Kneitinger Brewery. The photographs were displayed in Aberdeen Art Gallery studio workshop with guests from Regensburg invited for the official opening. The images were also shown in Aberdeen College and finally produced in a calendar for 2010. Aberdeen Insight – An exhibition of photographs of Aberdeen, taken by a group of photographers from Aberdeen’s twin city of Regensburg in May 2009, exhibited in the VHS during the official 55th twinning celebrations in September 2010. The photographs were taken during a visit to Aberdeen as part of an exchange project supported and funded by Aberdeen City Councils Twinning Fund, Aberdeen College, Aberdeen City Councils Arts Development Team and Stadt Regensburg and Regensburg VHS. The images capture Aberdeen as seen through the eyes of the visitors to the city. “Grey. Strange. Hectic -These were my first impressions when we arrived in Aberdeen in May 2009. An exhibition at the Aberdeen Art Gallery of the photographs for 2011 is under discussion. Arts Development worked in partnership Aberdeen Performing Arts to devise a piece of theatre to celebrate Scotland Homecoming. Funding was secured from Cultural and Twinning Grants to proceed with the project. Four young people from regeneration areas in Aberdeen and two young people from Aberdeen Arts Centres Castlegate Theatre School worked with Claire Davidson, APA Creative Learning worker and Gavin Coles from Hull Truck to create six short pieces which explored the themes of young people in Scotland, exploring Scottish culture and heritage. The pieces ranged from “What Is Haggis? to “Dr Who and the Loch Ness Monster”. The young people performed the pieces in Union Terrace Gardens and the Castlegate before taking them to Regensburg to perform at Burgerfest. Following this the pieces were performed in various locations around Aberdeen as part of Aberdeen International Youth Festival’s “Festival in the City”. Jutta Kohlbeck is a textile artist living and working in Regensburg. 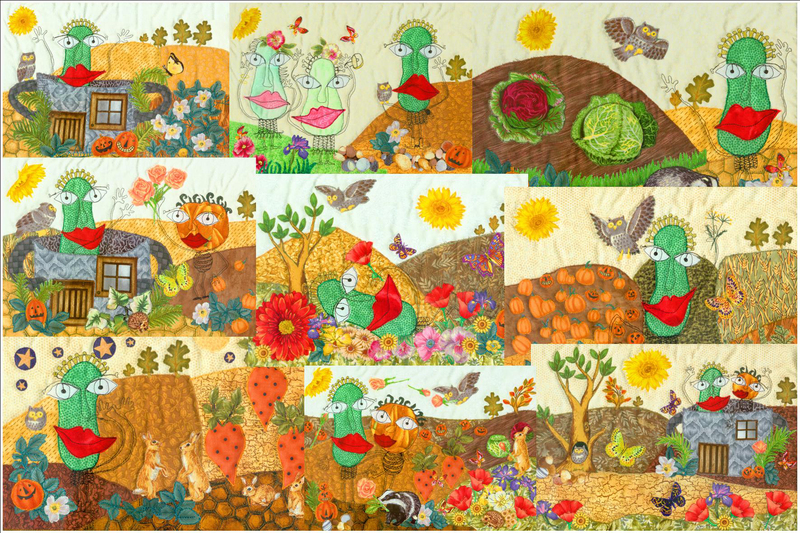 Jutta uses free motion to create quilts which are illustrations on a theme. The Arts Development Team invited Jutta to have an exhibition of her quilts in The Lemon Tree and deliver workshops relating to the exhibition. Jutta delivered workshops for adults at Aberdeen Art Gallery using some of her poetry as inspiration for the participants to create quilts which were photographed and digitally transformed into books. Working in partnership with Aberdeen Arts Centre, Jutta and Arts Development Tutors delivered workshops as part of the Arts Centre’s Summer Carnival. Using one of Juttas poems the children used textiles to create images which were then in turn animated to make a DVD. In 2009 the Arts Development Team were invited by Reinhard Kellner of Regensburg Social Initiatives to hold a stall at their Christmas Market.They were particularly interested in the way the Arts Development Team employs professional artists to deliver high profile projects to the most vulnerable and at risk citizens, developing methods and approaches using the arts to engage with groups, giving them a voice and visibility. The Arts Development Team travelled to the market for four days and delivered talks on best practice models of working to service providers in Regensburg. The team provided hands on Christmas craft workshops at the market for three days. Mr Kellner is also responsible for the Donaustrudel magazine, which is similar to the Big Issue in its objectives and sense of social responsibilty. Arts Development Team was given a page a month for six months to profile our work. Each of the Arts Officers provided an article and pictures for the six month period, resulting in coverage from Munich to Nuremburg showcasing work from Torry, Seaton and the Arts Development programme. In 2010 Reindhard invited the Arts Development Team back to the market but this time he wanted the group taking part to be selling items they had made. Three members of Aberdeen Potters took up the challenge and became ceramic elves for a month. They made porcelain decorations, badges, keyrings, tea-light holders, jewellery and cards which were carefully packaged and taken to the market. It was a wonderful trip even if the weather was unkind forcing the first closure of a market in 32 years. The group managed to get a stall at the main commercial Christmas Market for one day which although disappointing was still a success in terms of sales. The remaining stock was brought back to Aberdeen and was on sale in Aberdeen Art Gallery shop a testimony to the group’s high quality of work. Four Artists from Aberdeen were paired with four artists from Regensburg to have a game of ‘Consequences’ also known as ‘The Exquisite Corpse’. Each artist chose a word and swapped it with their partner from which their work would be inspired. 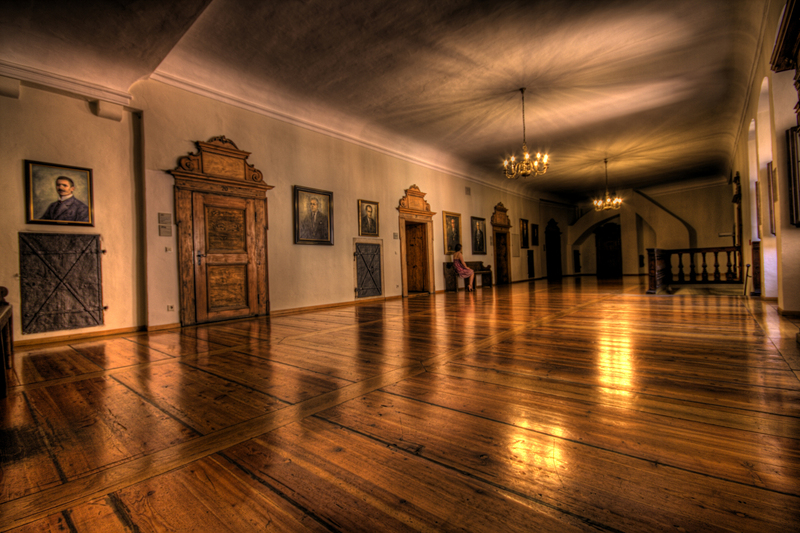 The mixed exhibition of painting, textiles and photography was shown in the Lemon Tree Gallery before it travelled to Regensburg to be shown as part of the 55th Anniversary of twinning celebrations. The Scottish Arts Council in partnership with Intercult, Aberdeen City Council, Marseille-Provence European Capital of Culture 2013 and Umeå European Capital of Culture 2014 launched an international research and development opportunity for artists and arts organisations from across disciplines to participate in The Four Corners of Europe, a new transnational European project focusing on coastal towns and resorts. The project aims to research and develop a new wave of commissions and presentations with international artists. Proposals are developed via artistic ‘blind dates’ with artists from Scotland and other parts of Europe as part of the research and development process. 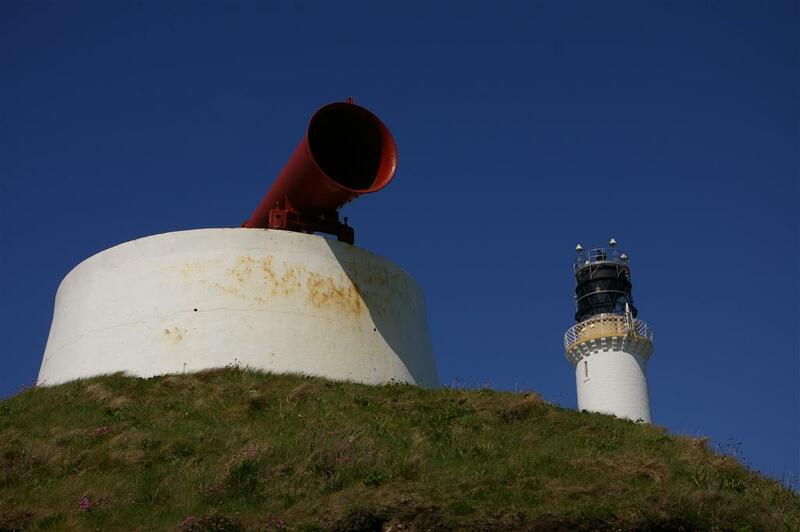 In 2010 Arts Development supported the artist selection and dating process which resulted in four Scottish Artist from different disciplines; Chris Biddlecombe, Michael Popper, David Leddy and Sandy Thompson meeting four artists from Umea to explore and research in Aberdeen. In 2011 the Scottish artists will have their follow up dates in their partners countries, leading towards a final presentation in Umea. 6 young people from Aberdeen, Regensburg and Stavanger came together to devise and perform a piece of theatre for inclusion in the Aberdeen International Festival 2010. This was a large partnership project which covered a period of 9 months from planning to delivery. 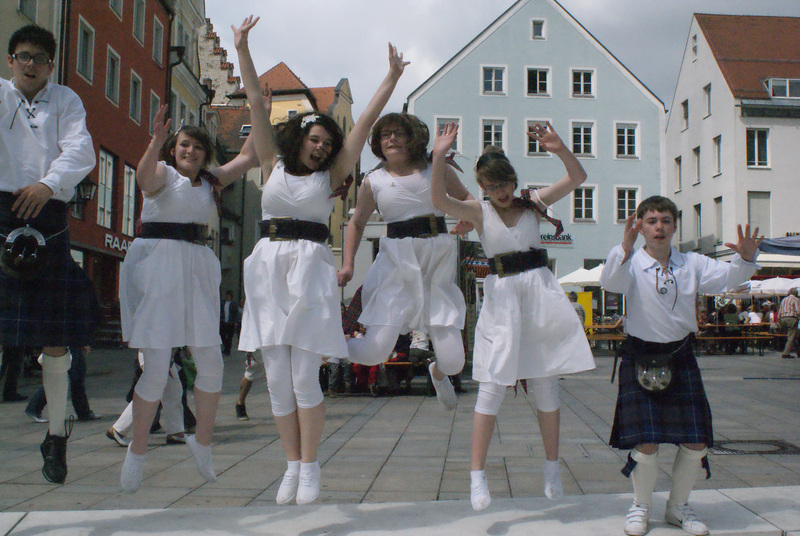 Young people in each city were invited to audition for a part in the project which involved travelling to Regensburg, Stavanger and ultimately Aberdeen. The young people worked with their own directors in their home city on a project outline which was distributed by the director of the piece, Colin Bradie the chief executive of Promote Youth Theatre. Colin was keen to be involved in the project and direct the final piece. In March 2010 the groups met for the first time in a snowy Regensburg. The group from Stavanger had arrived at the youth hostel before the Aberdonians and had prepared an arsenal of snowballs to greet their Scottish friends. A long weekend of hard work by the 18 young people ensured that there was a gelling and friendships formed. At the end of May the groups all met again in Stavanger. Working with the Rogaland Youth Theatre provided excellent facilities to really start pulling all the pieces together. Dance tutor Linzy McAvoy from Citymoves Dance Space was brought in to provide choreography to the piece, bringing the flow of the work together. The young performers worked extremely hard with a short presentation of work in progress to the Mayor of Stavanger at a civic reception. In July the eighteen young people all worked together at the University Hillhead Halls gymnasium to finish the piece. The young people all took part in the AIYF parade and ‘Festival in The City’. The final hour long piece was shown on two dates during the Aberdeen International Youth Festival in the Lemon Tree. Parents and family travelled from Regensburg and Stavanger to watch the performances. As part of the 55th Anniversary of the twinning agreement between Aberdeen and Regensburg a delegation was invited to attend the official celebrations in Regensburg. Alison Black and Gudrun Bombosch travelled to Regensburg and supported the hanging of three exhibitions. ‘Images of Aberdeen’ was opened in the Nueur Kunstverin Gratz, which is in a regeneration area of Regensburg. It was a very busy and successful opening with officials and locals all gathering in an empty shop unit to view the photographs. ‘Aberdeen an Insight’ was opened by the deputy mayor of Regensburg and Aberdeen Lord Provost Peter Stephen in the VHS in the city centre, the ‘Consequences’ exhibition was opened at the same time in an exhibition space in the same venue. The ‘Consequences’ exhibition was well received, resulting in several sales on the opening evening. The weekend of celebrations continued with; a 55km cycle run, a visit to the multi generational house, a tour of the city (including a visit to a snuff museum) and a Scottish Bavarian evening where traditional music and dancing was enjoyed. The final evening was a civic reception at the old town house where delegates and participants of twinning partnerships discussed and presented their projects. The photography project was closed with the official launch of a 2011 calendar showing images taken by participants from Aberdeen and Regensburg. The Arts Development Team has recently received funding to take part in the 2011 Burgerfest in June. We will be working with Aberdeen Performing Arts, Citymoves, Aberdeen International Youth Festival in Aberdeen and partners Eva Mertz from Danceworxx Studio and staff at the Von Muller Gymnasium in Regensburg. APA will shortly be recruiting youngsters to take part in the project.